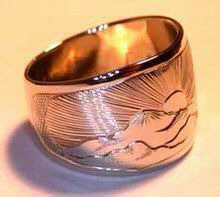 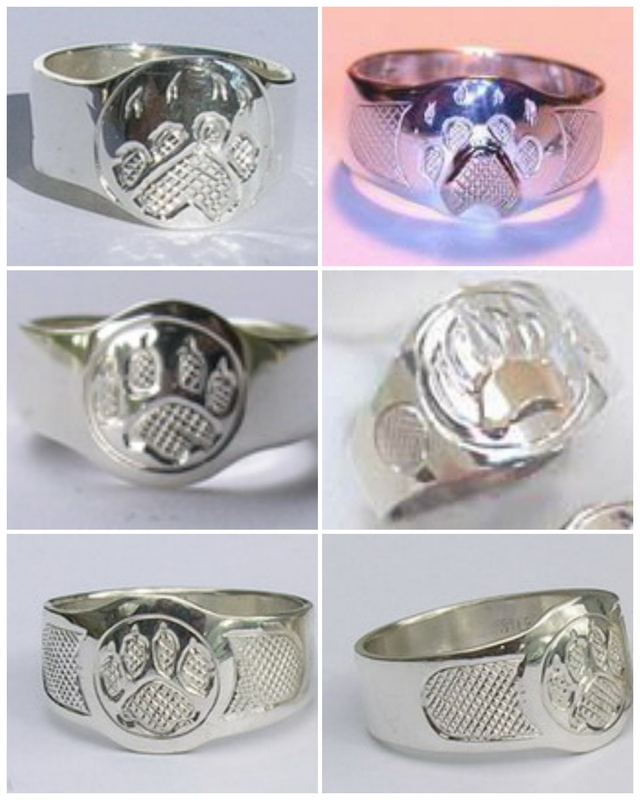 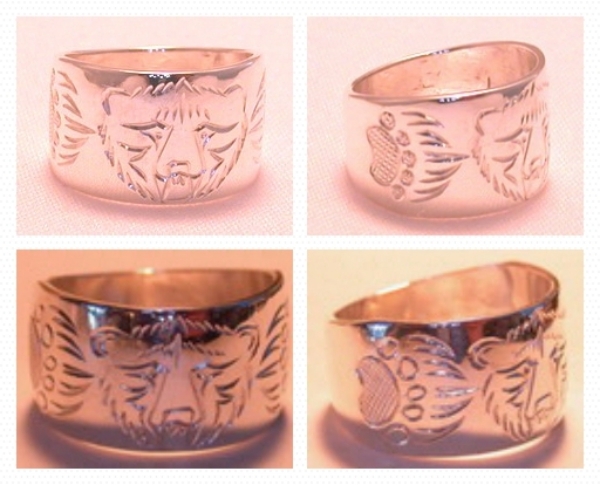 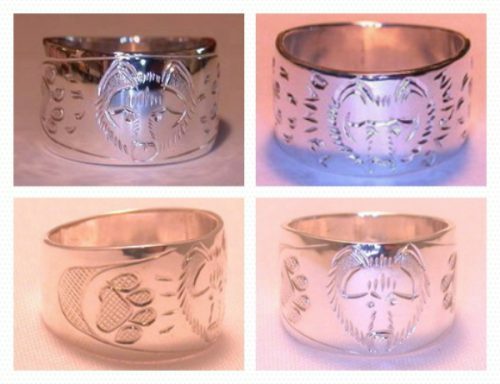 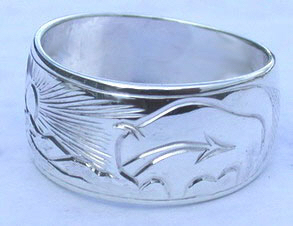 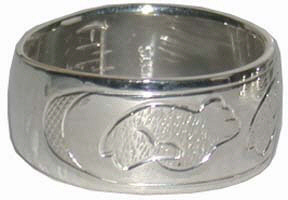 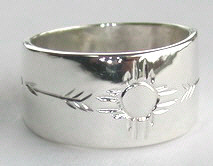 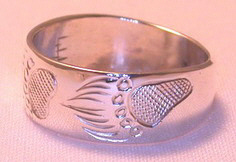 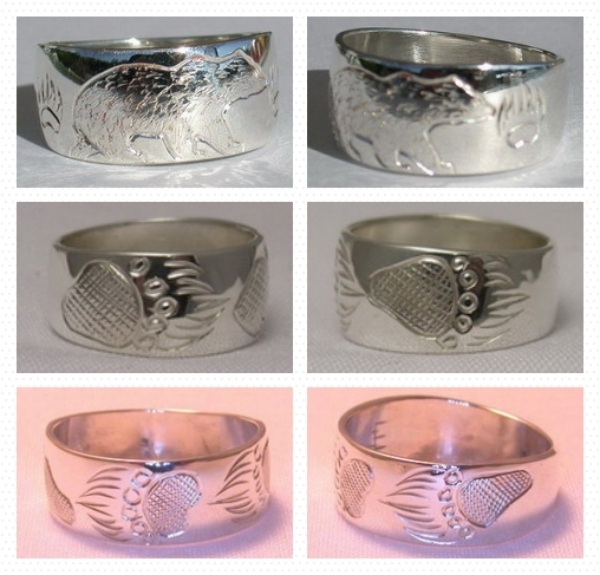 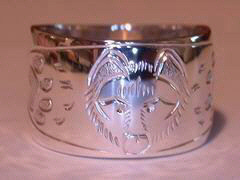 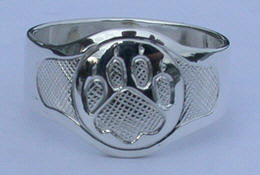 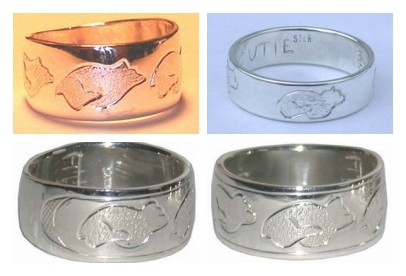 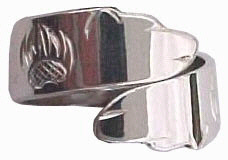 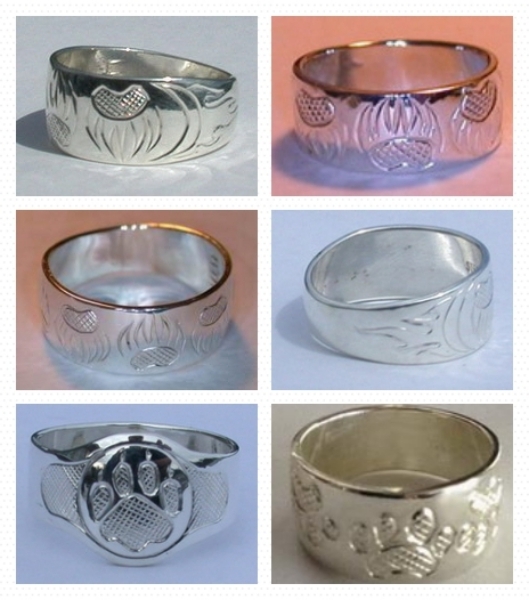 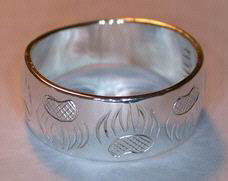 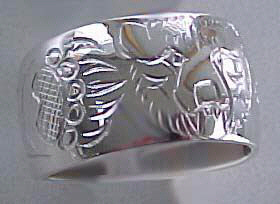 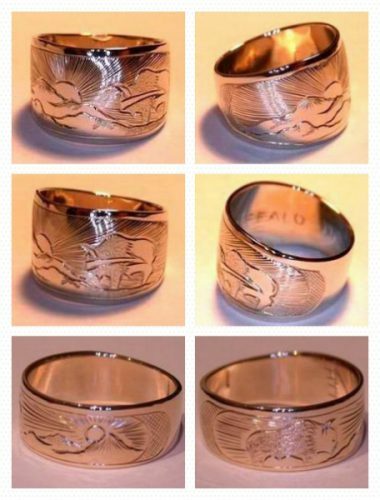 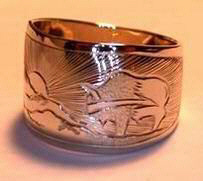 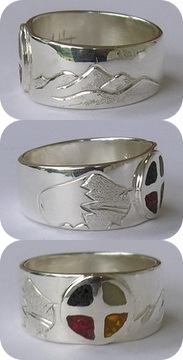 These silver rings use themes of Carnivores and other 4 legged animals, the paws and face or body shape of the Wolf, Black Bear, Grizzly, Kodiak, Cougar, Fox or Wolverine plus many more are stylized and engraved or cast for the rings designs. 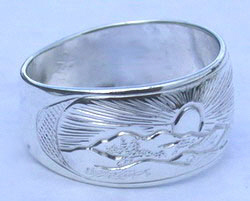 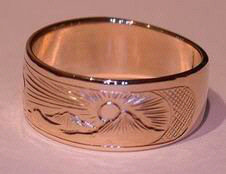 Thin band, wide band and Oval Signet style are all possible shapes as well as a thin band ‘ wrap-around’ design that is not soldered but can shrink or expand with your fingers movement in time. 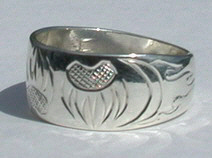 Domed and tapered are also popular variations.